The holidays are just around the corner. It’s hard to believe, but soon homes will be filled with friends, family and all the magic of the season. 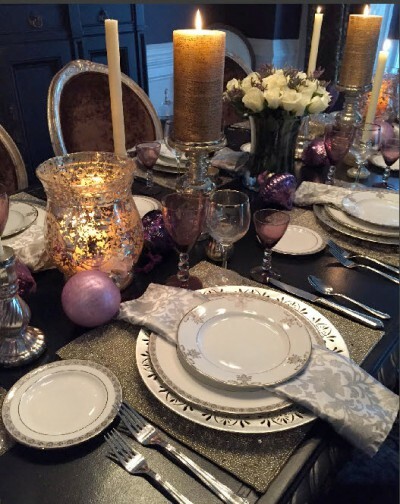 Each year, I design beautiful holiday tables for my clients, creating an inviting and memorable place to gather and give thanks. Every home is different; every family is different; but every table can be amazing if you start with the basics and build from there. Personal preference defines how your table will ultimately look. Regardless of your inspiration or personal style, the approach should be the same: start from the basics, layer the table, and pay attention to the details – centerpieces, lighting, color and accents. Before you begin, you should decide on the look and feel you want to achieve. 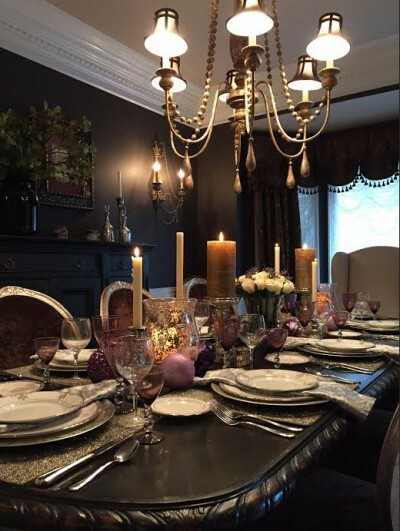 In most cases, your color palette will be dictated by the room where the table is set, but your style should reflect your mood, your audience and your idea of the perfect table. We’ve staged three possible styles here: Holiday Glam, Simple Elegance or Organic Inspired. My personal favorite is Holiday Glam with pops of color, fresh flowers, candles to soften the space and a few surprise details. To start, you should choose your plates, stemware, flatware and linens. When choosing linens, I like to show the table and prefer to use placements with charger and then plates on top. If you prefer, a table cloth can be used instead of placemats, but still use the charger as an anchor for each place setting. Your napkins, placemats, and all of your linens, should all be similar in style and color/tone. 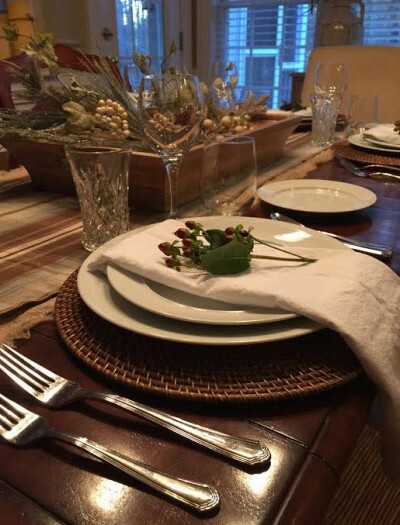 I always prefer to use a full set of matching placemats with a matching or complimentary set of napkins placed in the center of the plate rather than using napkin rings. I think it looks more elegant. Once you have chosen your linens, dinnerware, stemware and flatware, you’re ready to set the perfect holiday table. Regardless of your ultimate “look,” you should always begin with a proper table setting. I learned how to set a table from reading the rules from Emily Post, the ultimate authority (in my opinion), on setting the perfect table. 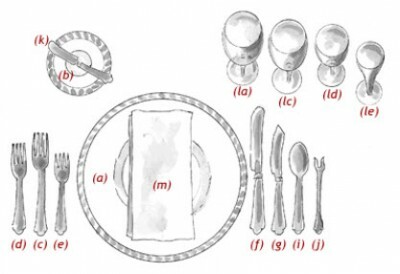 According to Ms. Post, “The one rule for a formal table is for everything to be geometrically spaced: the centerpiece at the exact center; the place settings at equal distances; and the utensils balanced.” I have included a basic formal setup diagram below. For details on how to set casual and formal tables, you can visit the EmilyPost.com site. (a) Service Plate: This large plate, also called a charger. Once you’ve covered the basics, you’re ready to move on to the details. Centerpieces have a major impact on the ultimate look of your dinner table. I prefer to use one long, low centerpiece although using two smaller centerpieces appropriately space on the table can create a beautiful effect as well. Whenever possible, I try to use fresh flowers and greens to add life to the table. Color, size and type depend on your table style and the dishes/linens that you are planning to use. The key to a fabulous centerpiece is to create something beautiful that can serve as a focal point for the table, yet allows everyone’s eyes to connect throughout the meal. If you choose to place two or more smaller vases, instead of a large centerpiece, make sure to space them appropriately (equal spacing from end to end of the table) and work with arrangements that are no higher than 12 inches, again, so everyone can see across the table. Lighting is an important detail to perfect your table. Overhead and wall lighting should be set to work in concert with candles placed on the table. A soft warm glow adds elegance to the table. 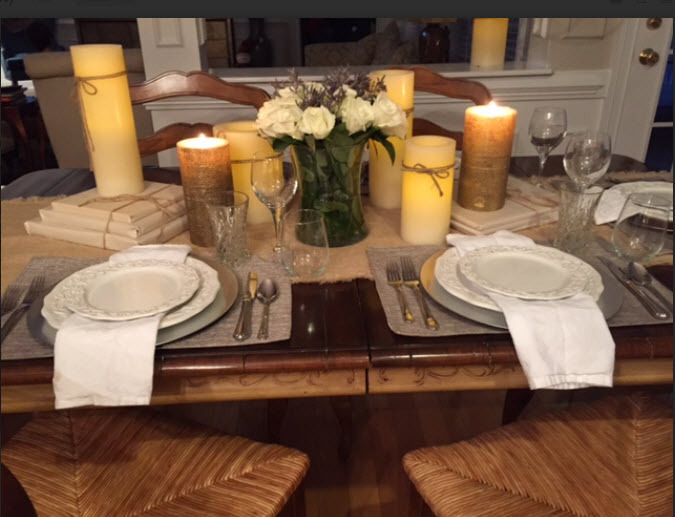 The Simple Elegance setting uses multiple candles at varying heights to add warmth to the table. I like to choose varying size candles, but keep in the same color scheme as your linens and centerpieces. In the Organic Inspired setting, the centerpiece is larger and filled with freshly cut pieces. I introduce a single clipping at each setting to pull it all together. I always like to add a pop of color and sparkle using unexpected objects. In the first setup (pictured at the top of this page), I’ve sprinkled the table with large Christmas ornaments in a brighter shade of the dining room wall color. It’s a fun way to tie the table together. Finally, if you’re setting a children’s table, have fun with it, but start with the same formal set-up. You’re never too young to learn the rules of Emily Post! May your table be a magical place for you and your loved ones to gather, celebrate and give thanks.